I’m officially in love… with this hot new concept from Mugen Power. 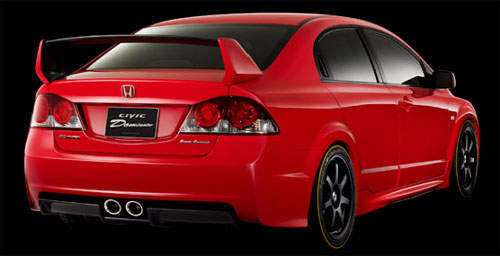 This is their Mugen Honda Civic Dominator concept, to be shown at the Tokyo Auto Salon 2006. I wish I could be there, anyone want to buy me a ticket to Tokyo? 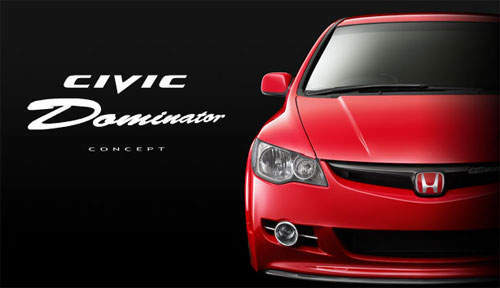 The Mugen Honda Civic Dominator is based on the JDM Honda Civic 4-door sedan. Dimensions are 4570mm long, 1795mm wide and 1400mm high. The bodykit is different from the Honda Civic Modulo which I previously blogged about, though the Modulo looks pretty hot too. 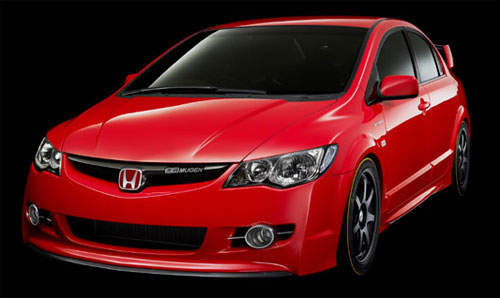 Coming from Mugen who brought us the hot Fit Dynamite which the Fit’s original 1.5 VTEC was replaced with a 2.0 litre i-VTEC engine, we can’t expect them to leave the performance of the Civic alone right? 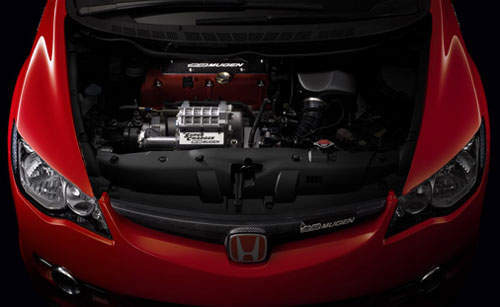 Mugen has equipped the K20A 2.0 litre i-VTEC of the JDM Civic with a supercharger, bringing up total power up to 295 horsepower (300ps). 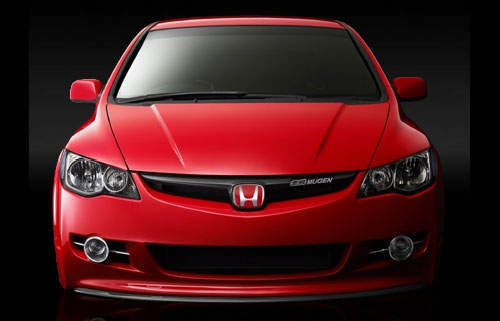 The engine hooks up to a front-wheel drive 6-speed manual transmission. The car has a “Super Charger” text emblem above the front wheel arch. 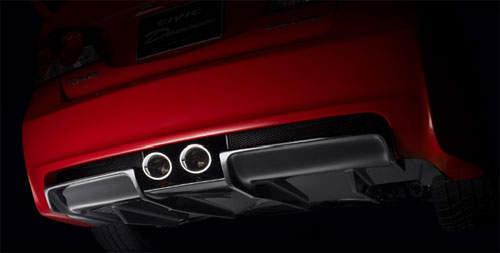 Centre-mounted dual tip sports exhaust system to accomodate all the extra horses the engine is putting out, integrated into the rear bumper. The over the top large wing at the back’s tilt angle is adjustable to your liking. Also notice that the rear doors do not have the door handles in the normal position, but rather like the Alfa 147’s door handles. Gives a nicer side profile look. Those wheels are 225/40/R18 by the way.